Highlighters are definitely having a moment in the makeup industry and the moment, and I am all for it. I am obsessed with a glowing complexion so I definitely get sucked into trying any new glow-givers on the market. After I got Champagne Pop at the end of 2015, I never thought I'd need another highlighter again, but here I am! 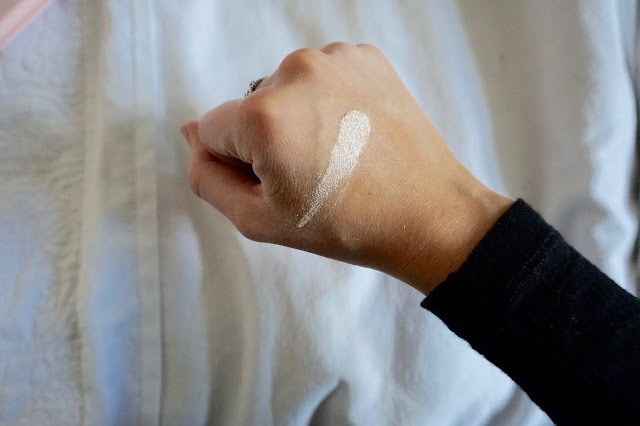 As you can see, it is so strongly pigmented (I do find loose powders have stronger pigmentation) and it really does come up that strongly on my skin. You can see it on a makeup look here. As with all ABH palettes, the pigmentation and quality of the highlighters certainly don't disappoint, and I've also been loving spritzing my brush with Fix+ to get stronger pigmentation. I will be posting a look using loads of the shades from the palette on my Instagram this week. 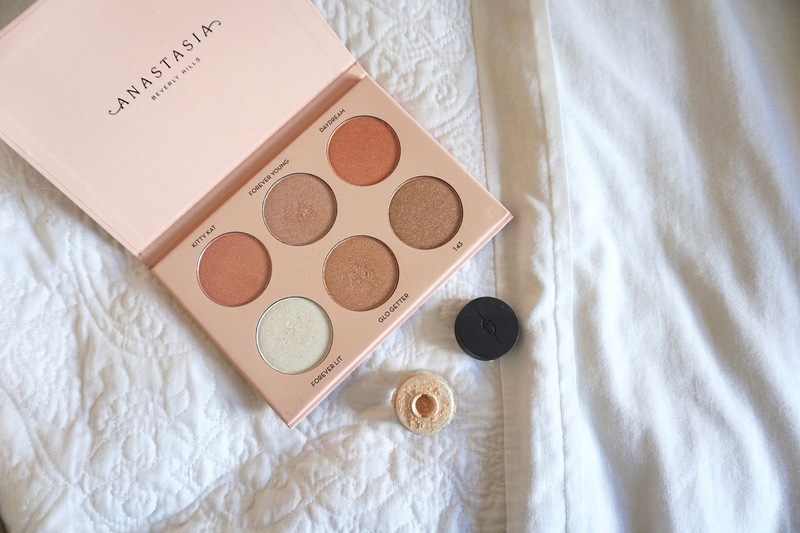 I feel like every single shade is wearable for pretty much everyone (either as a highlighter or an eyeshadow) so it's a really great versatile palette. So which one would I pick? I would personally go for the ABH x Nicole palette. Firstly, you get 6 shades for the price of 2 MUFE powders (although if you just want one highlighter, go for the MUFE one - I just like to have lots of choice!). Secondly, as the MUFE one is a loose pigment, it can get very messy and I do find I'm wasting product because I pour too much out and can't put it back in the container. The MUFE one only contains 1g of product whereas the ABH ones are 4.5g per highlighter so I personally find that to be better value for money. You can also use Fix+ as I mentioned earlier to get a stronger pigmentation with the ABH ones. As a makeup junkie, I love and use both of the options, but I can see why the average person would only want to invest in one! So I hope this has been somewhat helpful. 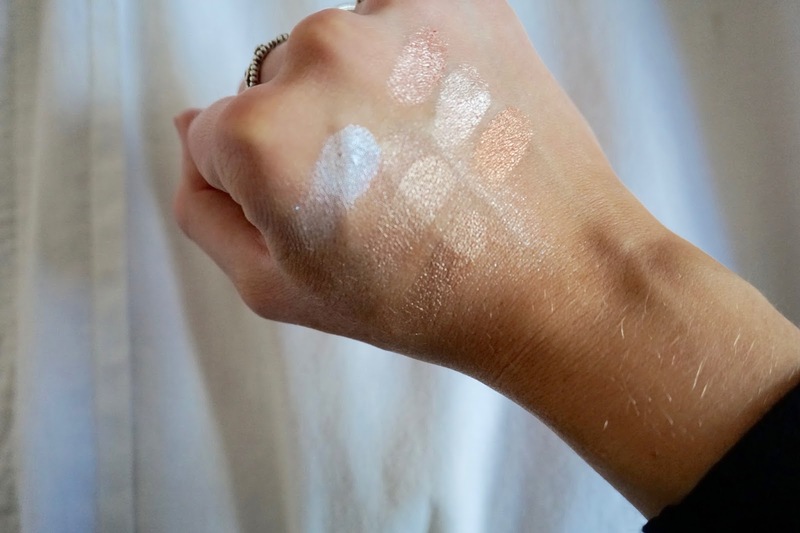 Let me know your favourite highlighters - as you can imagine I'm always on the lookout for new ones to try!